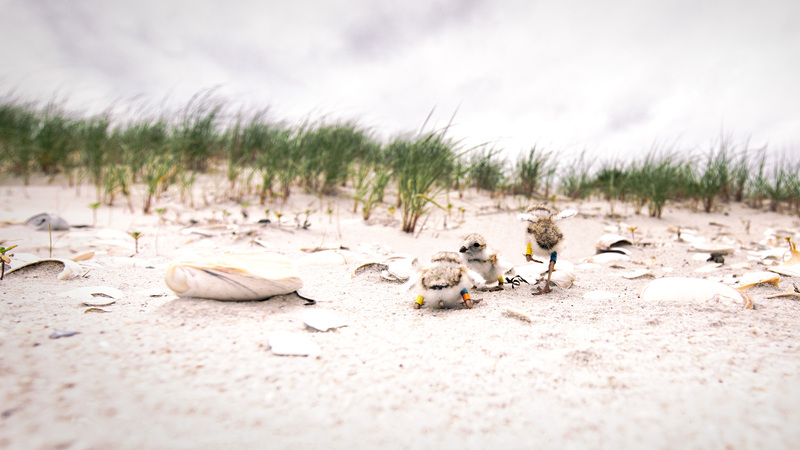 Long Beach Island’s Piping Plover are probably its most important and most valuable export. Each season our Island, a critical habitat for these endangered beauties, produces what it can to help keep the population of just 1,700 breeding pairs worldwide from falling even further. Barnegat Light’s Pete McLain and Phoebe Cates certainly did their part this summer by giving birth to the adorable Damone, Spicoli and Mr. Hand. Damone, sadly, didn’t make it. But Mr. Hand and Spicoli made it to their fledge dates and left the Island this August to head off into the great unknown. Unknown, that is, until last week when Mr. Hand was spotted on Ocracoke Island in North Carolina! Normally that news would be cause for raucous celebration; but Hurricane Florence puts a big question mark over just how much we should be cheering about this development. Having only been flying a few weeks, LBI’s Piping Plover take off and head to the Bahamas for the winter before returning to make babies in the spring. While some birds are spotted along the coast during the early fall, recent research suggests that some of these babies make a b-line for the Bahamas, flying straight over the open ocean for several days from places like New Jersey to their final destination in the Bahamas. A harrowing, non-stop flight, to a mysterious place they have never even seen before. I won’t elaborate: but everything about that is truly astounding to consider, on so many levels. LBI’s Dylan Yates bands, weighs, and measures Mr. Hand earlier this Summer. But our adorable Piping Plover are not our only valuable export. And they aren’t the only ones flying south for the winter to return in the spring. So are many Islanders inspired by the magic of the shore. Like Dylan Yates. 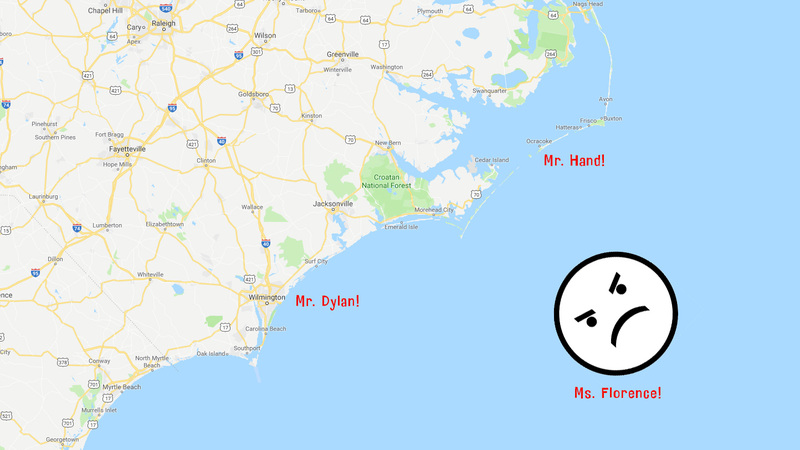 And coincidentally, both Dylan and Mr. Hand are in NC this week dealing with Florence. This is even more of coincidence considering the photo above where Dylan is actually cuddling Mr. Hand while weighing, measuring, and banding him this Summer. 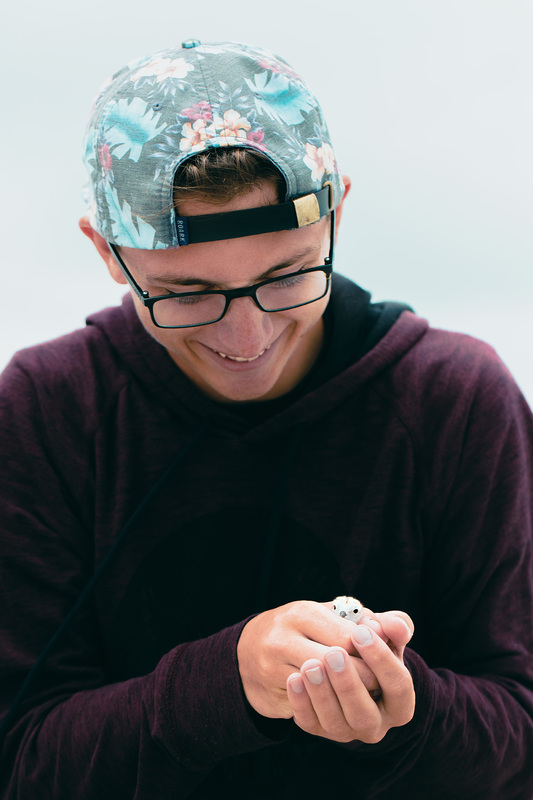 Dyan is an invaluable asset to LBI: master of Marine Biology and a dedicated volunteer monitoring our Piping Plover and our Osprey. We shouldn’t be worried about Dylan. He is no stranger to storms as he and his family pulled through Sandy like the rest of us. But Mr. Hand? That remains a mystery. How these newly born animals make the astounding journey from LBI to the Bahamas, and back, is mostly not well understood. Did Mr. Hand sense the storm coming? Does he know how to respond? Is he safe? How many babies, well out at sea, flying on a wing and a prayer, are getting murderballed by the Monster that is Florence? I suppose we won’t know until next spring, when, and if, he, and they, return. Godspeed Dylan. And Godspeed Mr. Hand! Wishing safe journeys for all of the babies. Posted in Wildlife and tagged barnegat lighthouse, damone, dylan, LBI, Long Beach Island, mr. hand, pete mclain, phoebe cates, spicoli, the plovers of barnegat light. Bookmark the permalink. Osprey have a similar, but very different, set of concerns. From what I know of Osprey satellite data, Osprey’s bigger storm concern is in the Gulf and it is slightly later in the season. Plovers fly (earlier) Southeast to the Bahamas, while Osprey fly (later) South/Southwest to their wintering grounds in South America. An unfortunate Osprey in NC has an option a Piping Plover does not: it can fly inland, and forage along lakes. In fact, many (recorded) Osprey migration routes avoid the coast and stick deeper inland. A Piping Plover has no options but to stick to the Coast! Osprey get into trouble making that first major leap from Florida/Gulf Coast to Cuba. An Osprey needs to have the perfect number of calories to make it. It is the true leap of faith. I believe there is data proving that young Osprey run out of gas mere miles from the coast of Cuba! Storms later in the fall season, and in the Gulf, are the bigger threat to Osprey. I hope they all weather the storm! Spicoli and Mr. Hand had a lot of people on the Island looking out for them. I sure hope nothing happens to them now. A lot of conservation efforts have focused (rightly) on their breeding grounds, like LBI. But a greater recognition and emphasis on protecting the entire Flyway, from Canada to the Bahamas, has been growing. 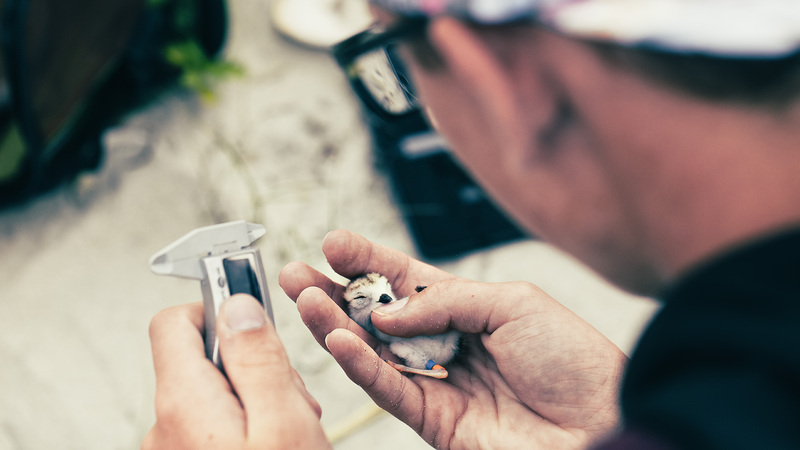 We should be super proud that our very own Todd Pover has been leading the way in this regard, spending multiple winters in the Bahamas both studying our plovers there and doing education and outreach. They are the same birds… so in a sense it is no use protecting their nesting grounds if they are just going to get run over in North Carolina (for example) on migration. But the Atlantic Hurricane Season is as old as the Plovers and they evolved somehow to have to migrate straight through the worst of it. I wonder how it all works and what it all means. I hope one day someone smart unlocks all of these mysteries. Until then I can’t help but imagine little Mr. Hand out at sea and seeing Florence heading straight for him! So adorable! Say a prayer they make it! I’ve been worried about the monarchs too. The migration generation is heading right into hurricane season. But like the ospreys, they can fly inland. Poor plovers don’t have that option.